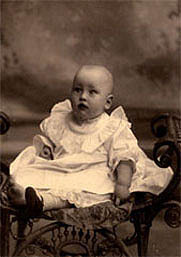 (December 2, 1902 - June 2, 1986) spent his childhood in Nova Scotia and his adolescence in Alberta. 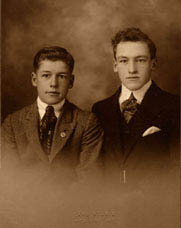 In 1924 he graduated from the University of Alberta with a bachelor’s degree in 1924 and a law degree in 1926. After completing a graduate course at Harvard Law School in 1927, he relocated to Windsor to begin his legal practice. Throughout his career, Macdonald devoted a significant share of his time to community service and held several important posts, such as president of the Rotary Club of Windsor, Honourary Life President of the South African War Veterans Association and the first president of the Essex Scottish Officers Association. In 1954 Macdonald wrote The Trial of Kurt Meyer, detailing his experience in successfully prosecuting the former S.S. Brigadefuhrer who was charged with denying quarter to Allied prisoners and being responsible for the killing of Canadian soldiers. The book became the basis of a CBC television program, which he also wrote. Macdonald also participated in another CBC project “It’s the Law/Case for the Court” television series in 1960. After his retirement as County Judge in 1977, Macdonald joined the Law Faculty at the University of Windsor as lecturer. In 1981 the University of Windsor recognized his contributions to the university, legal profession and community by conferring upon him the degree of Doctor of Law, honoris causa. 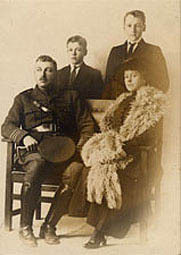 The Macdonald family - Major William, Victoria, Ian and Bruce Macdonald, October, 1916. The residence of Bruce Macdonald and his wife at 208 Sunset Avenue, later incorporated into the campus of the University of Windsor, 1953. Norma Macdonald (Millard) in her wedding dress. Married - All Saints Church, Windsor, Ontario. Bruce and Norma Macdonald on board the Queen Mary, 1955. University of Windsor President Mervyn Franklin, Bruce Macdonald, Pierre Berton, and Chancellor Richard Rohmer in Convocation garb, June 6, 1981.